Our Needs to Renovate | Crossroads Ministry Inc. 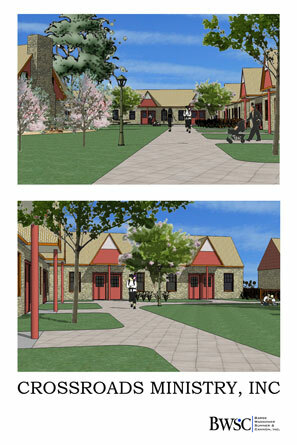 Shown below are the two renderings that show what Crossroads will look like after it is renovated. The roofing is a guaranteed lifetime Stone-Coated Steel Roof Panels and installed over Synthetic Leak Barrier Underlayment. The roofing will resemble slate which will go with the style of the buildings. The following are interior estimates from flooring to ceiling.